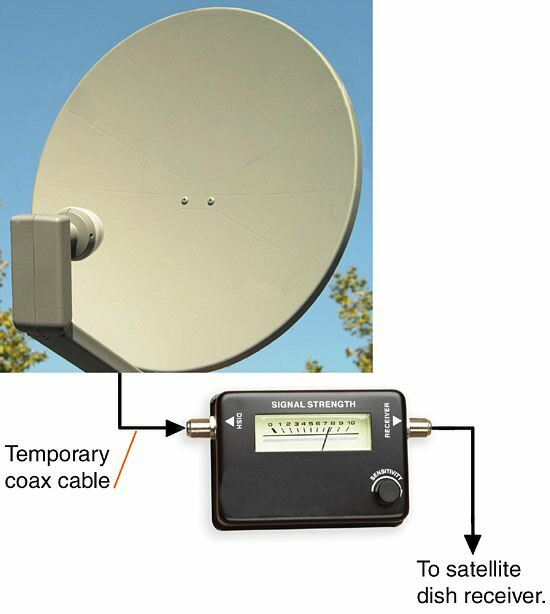 With the Satellite TV Dish Alignment Tool, locking on to your satellite signal is now a one person operation. The Satellite TV Dish Signal Alignment Tool will align your satellite dish whether you use Dish Network, Direct TV, or any other type of satellite tv. Did you know DirecTV, Dish Network, and other satellite providers will charge you over $100 to come out and re-align your satellite dish? 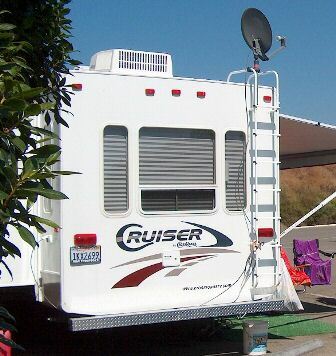 Our Satellite TV Dish Alignment Tool will save you tons of money in the long run, especially if you move or use a satellite dish for your RV camper. Satellite TV Dish Alignment Tool displays signal strength, according to dish position, with an easy-to-read analog needle, allowing you to make necessary adjustments without having to yell back and forth from the window. The Satellite TV Dish Alignment Tool quickly installs between the satellite dish and receiver. Satellite TV Dish Alignment Tool is powered by satellite receiver, so there�s no additional power connection. The Satellite TV Dish Alignment Tool lets you easily tune your satellite dish and determine the direction of the strongest satellite signal. Great for remote satellite antennas. The Satellite TV Dish Alignment Tool is the most useful tool in Satellite TV installation includes Direct TV, Dish Network, Bell ExpressVu, FTA and Satellite Internet systems. Designed with SMT technology, its superior sensitivity is capable to indicate signal from 0.2dB to 2300MHz. It is operated by LNB power. A built-in buzzer sounds higher pitch when dish gains higher signal. The Satellite Alignment Finder is complied with EMC directive and CE qualified. Nice low price Do It Yourself satellite alignment tool. Adjust your Dish Network Satellite Dish Yourself Fast and Easy! Direct TV and Dish Network will Charge $100 for alignment! If you've ever had satellite service suddenly cut out on you, you know how aggravating and time consuming it can be to remedy the problem. 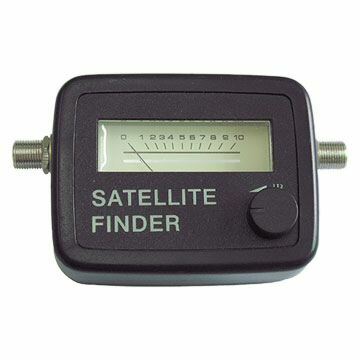 But thanks to this easy-to-use Satellite TV Finder, you can correct the problem yourself in seconds! 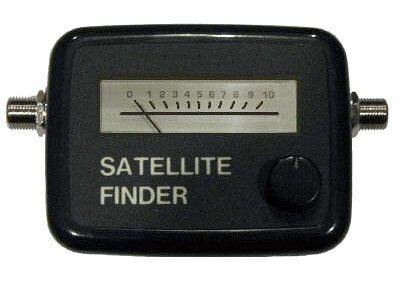 The Satellite TV Finder is perfect for installing new dishes, adjusting the dish on your RV, or simply making adjustments to residential dishes after windstorms, hurricanes, heavy rains or earthquakes. Simply wire this affordable satellite dish alignment finder device between your dish and your receiver, turn on your equipment and adjust your satellite dish until the meter indicates optimum signal strength. Use the satellite dish tool today and you'll never have to wait on hold forever so your provider's service rep can schedule a repair appointment next week. And you'll never have to recruit a second person to help you with a lengthy trial and error process. Bad Storm Knock Your DirecTV Satellite Dish Out? 1. Connect a jump cable from LNB to satellite finder's "TO LNB" input. 2. Connect the "TO REC" a DC 13-18 V power which comes from satellite receiver. 3. Make sure the satellite dish alignment finder is properly connected. Plug in the AC cord and turn on the satellite receiver. It will show light on the scale, the reading will be around 1. 4. Make a close dish alignment by setting Azimuth and Inclination. 5. Set the reading around 5 by adjusting satellite finder's level control on front. 6. Adjust dish position, feedhom position, and polarization to have the highest reading on the satellite dish alignment finder. If full scale, lower the reading by turning lever control counterclockwise. 7. Remove the jump cable and satellite dish alignment finder. Resume connection of satellite receiver and LNB. - If the read out is jumping, the sensitivity is too high. Lower the sensitivity by adjusting S.A on the bottom. On the other hand, adjust the S.A clockwise to increase sensitivity. Order the Satellite Signal Alignment Tool Today!